Most burglaries and house break-ins occur from the main door. However, peephole installation or a door viewer will keep opportunist intruders at bay and will keep your home safe. Peepholes let you view who’s on the door without even opening the door. So keep your family and other things safe and keep everything in your hand by installing a peephole in your home. Keeps you safe from evil people: With peepholes, you can stay safe behind the front door and peek on to see who is at another side. This also offers the freedom to decide whether or not to open the door. It is safe for kids and elders: Elders staying alone at home can see who is on the door without even opening it. They can be assured of their safety. Peephole gives them the freedom to see a visitor. Offers peace of mind: When you know who is knocking at the door, you can avoid situations that can make you feel tense. Offers chance of action: When you know that something terrible is going to happen, then you would be able to take action over it. With peephole, you can be assured you can take action if there would be any threat behind the door. Why Choosing A Professional for Peephole Installation! Safety is a paramount thing and cannot be taken for granted. If you want to keep your family protected all the time, call a professional service provider like Car Key Pros in Texas for installing peephole to your doors. We are one of the most trusted names when it comes to offering high-end services to our clients. People rely upon for our best in class services and our fastest response time. Over the past five years, we have been adhered to offer residential and commercial services to cater needs of people living in TX. We have the best technicians who are skilled in installing peephole to any door. We work with a no-holiday plan and are available on-call. Day or night, simply call us and let us serve you when you need the most. If you want a reliable and genuine automatic peephole installation service in Texas, simply call us. We offer top-notch auto lockout and other locksmith services whenever you need. Our technicians also deal in repairing and installing mobile auto lockout and other automotive services. All our services are affordable and will not put a hole in your pocket. We also offer services like ignition repairs, repairing of broken keys, car key lockouts and transponder keys for all models. Whether you have a domestic vehicle or commercial one, our experts have a good experience in dealing with everything. We can be your most trusted commercial locksmith provider. We can offer services that suit best your budget. Our commercial locksmith services include automatic door closers, magnetic door locks, electric strike locks, office lockouts, installation of panic or push bars, and more. Make your house more secure by installing security devices from Car Key Pros in Texas. 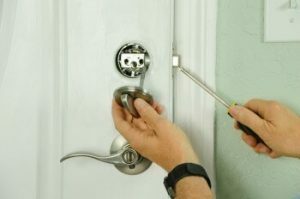 You can call us for installing interior and exterior lockouts, keys replacement or making of duplicate keys, and more. We can help you with residential lock installation and repairs, broken key extractions, burglary damage repairs, rekeying, burglary damage repairs, and more. Minimum response time: We value your time, the reason we reach the place in just a few minutes. We have expert technicians: With over five years of experience, we have experts who work to offer best-in-class services. We are licensed, bonded and insured. Work using the latest technology: We are a team who is trained in dealing with all the latest technology. When you call us, we will reach out to you with all our equipment to resolve your problems. 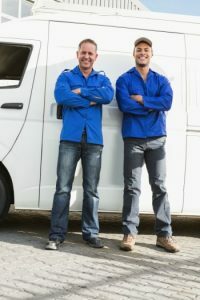 Get Peephole Installation from Car Key Pros in San Antonio https://carkeyssanantoniotx.com/residential-locksmith/peephole-installation/ 4.2/5 based upon 5 reviews.